Over the course of the last 14 weeks or so, I've been writing about the various aspects of mindfulness and about how they can be applied to both our lives in general as well as to our athletic pursuits. I hope you've come to see that mindfulness is an approach to living that can help us achieve a new way of being as we become present in our lives rather than living in the past or future. I've discussed a number of skills and will highlight a couple key ones below. To start, mindfulness is simply paying attention to the present moment in a nonjudgmental way. Mindfulness isn't just a single skill, but rather is a collection of skills and approaches to life that with practice can help us experience our lives in entirely new ways. I want you to keep in mind that these skills are like links in a chain that work together to create a strong and useful tool. As we develop these skills, they can help us change our lives. The skills become stronger and more effective with practice. 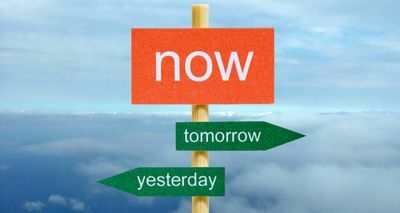 One way to do this is to use our skills to stay in the present moment. When we practice this approach, we find that life calms down, that we can look at the situation we are in (no matter how difficult) with a greater degree of clarity and ease, and that we can move forward in our own lives rather than being stuck in denial, distraction, protest, etc. We can focus our energies to bring us to our very best, whether in life in general or in a particular pursuit such as athletics. Here's a simple exercise to stay in the present moment: begin by taking your deep breaths. Your breathing is a point that anchors you to the present moment. Now, by being in the present you can just simply notice whatever is going on for you, whatever is going on around you, whatever is going through your mind. If some thought enters your mind, just let it pass through. You don't need to do anything, just notice. By noticing, rather than reacting, rather than doing something to distract ourselves, rather than planning or solving, we can become calm and present in our immediate moment. I used this approach this week with an athlete I work with. He told me that his pre-game routine is to take an afternoon nap, about 6 hours before the game. He said that the problem is that he starts thinking about the game, gets keyed-up and is ready to play at that moment, 6 hours too early. Then he can't then nap and get the rest he needs. I suggested that he forget about the game, as the game doesn't yet exist (it really doesn't as it's still hours in the future), and to just focus on his breathing to anchor himself to the present moment. That he could then observe where he was, that he'd notice that everything was okay and that he didn't need to be excited at that moment. As he did this and simply noticed the present moment he was in, he was able to let his body relax, he was able to notice feelings of tiredness and then he was able to settle back for his nap. Two other skills that I feel are key ones to remember are mindful observation and being able to let life flow. As an illustration of these, I'll mention a treadmill run I did the other night. It was a much longer run than usual (thanks coach! ), and I was already tired. As I ran, I noticed that I wanted to keep checking the time, wanting the run to be done. Rather than watching the time though, worrying about how long was left, I merely noticed that I wanted to be done. As a mindful observer, I noticed that looking at the clock wouldn't make time go faster, that the distance wouldn't be different if I looked at the clock, that I'd still just be picking up my feet and putting them down. I saw that everything would be just the same if I watched the clock or not. I was then able to let go of the clock and just accept that running was what I'd be doing for a while. I saw that I could let time flow past and that I'd be done when it was time to be done. When I did finally glance at the clock, I only had 3 minutes left and I enjoyed the run much more than I expected because I simply stayed in the moment and let time flow. I didn't expend energy worrying about the future, wishing the run was done. Remember too that not only can you use these mindfulness skills in athletics, but also when you're injured. You can use meditation and visualization skills to go over a race course, to promote healing, and to rehearse physical skills. So, even if you can't physically workout, you can still develop your mental skill set. Hopefully these quick examples remind you of some of the skills we discussed over these last weeks. Mindfulness is one of those areas that offers much more than I've been able to write about in a few weeks. Yet with even just some basic skills and practice we are able to change our lives, and importantly for us athletes, bring out our best performance. I hope you keep investigating this topic, there are a ton of books, videos and websites discussing mindfulness. I hope that you make mindfulness your own. Keep practicing and feel free to reach out with any questions.